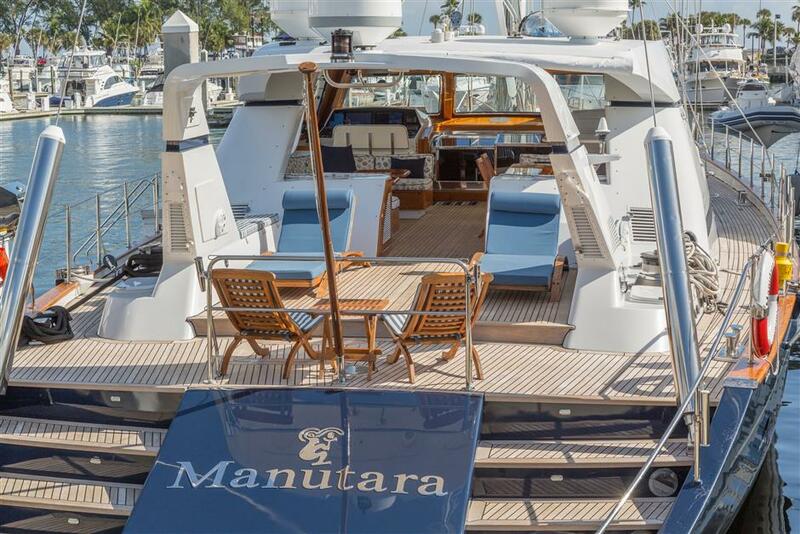 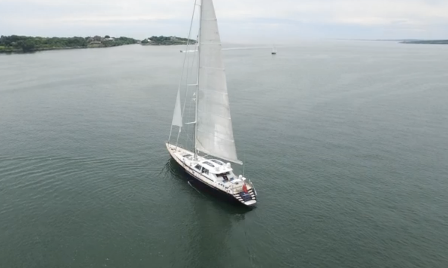 Sailing Yacht MANUTARA (Ex Titan XIV) was launched in 1994 and underwent a refit in 2014. 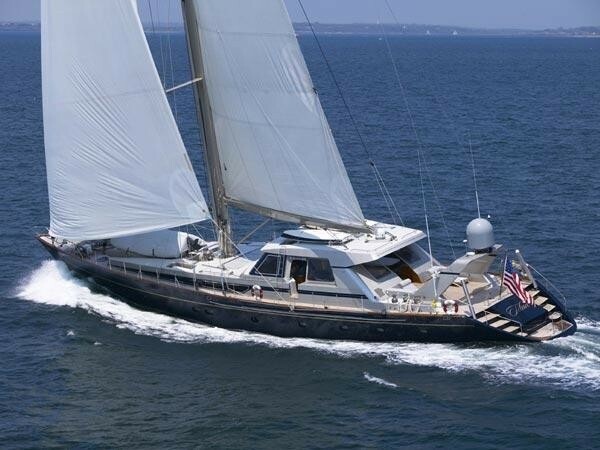 The yacht was built by Valdettaro Shipyards and is 35,05m (115ft). 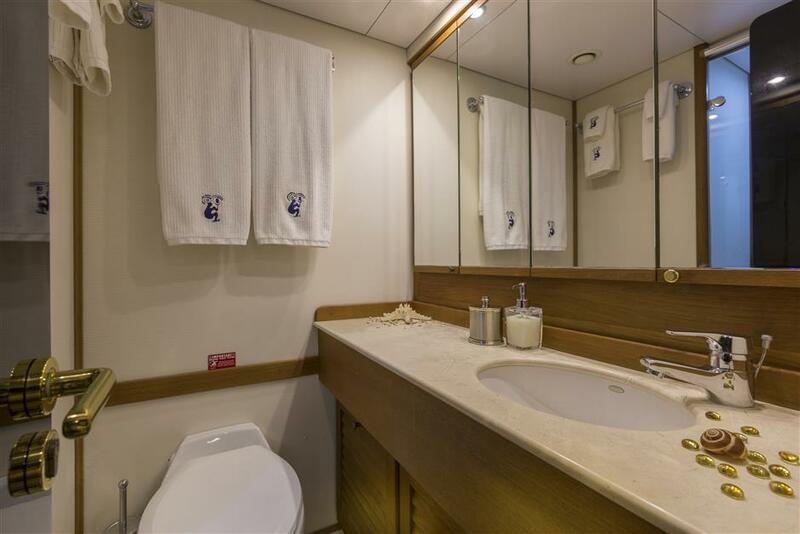 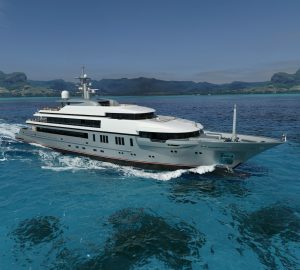 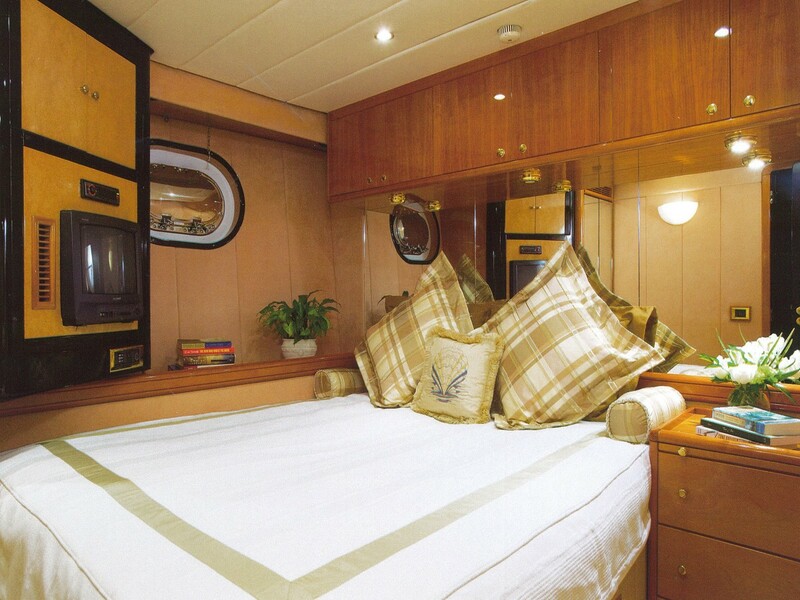 She offers accommodation in 5 cabins, for ten charter guests. 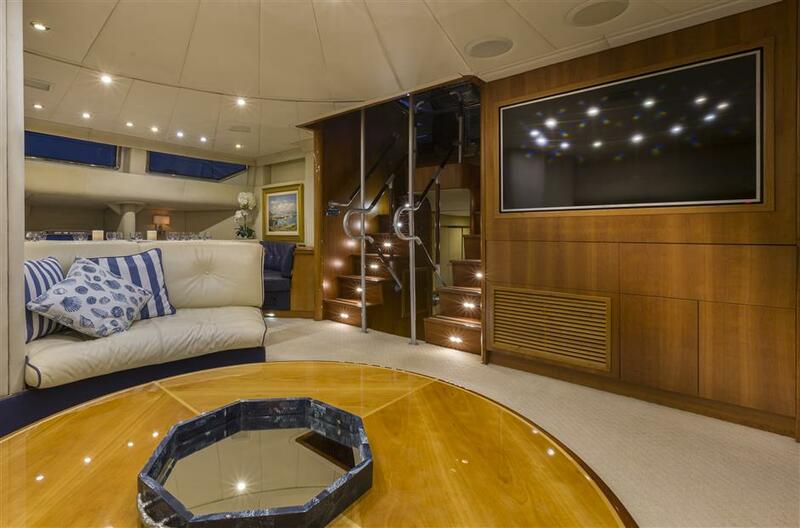 The main salon is a full-beam size, with a generous lounge, perfect for entertaining and relaxing. 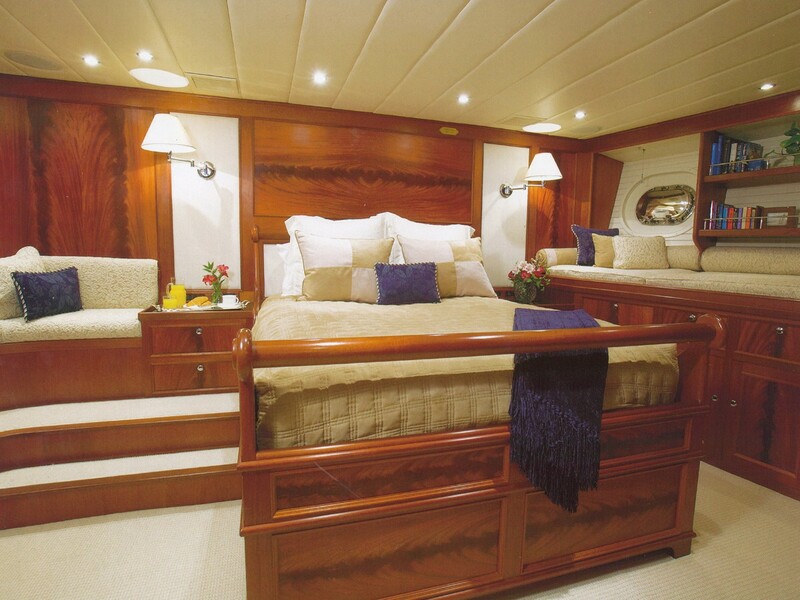 The ambiance on board is best described as elegant, with beautiful furnishing and soft tones fabrics. 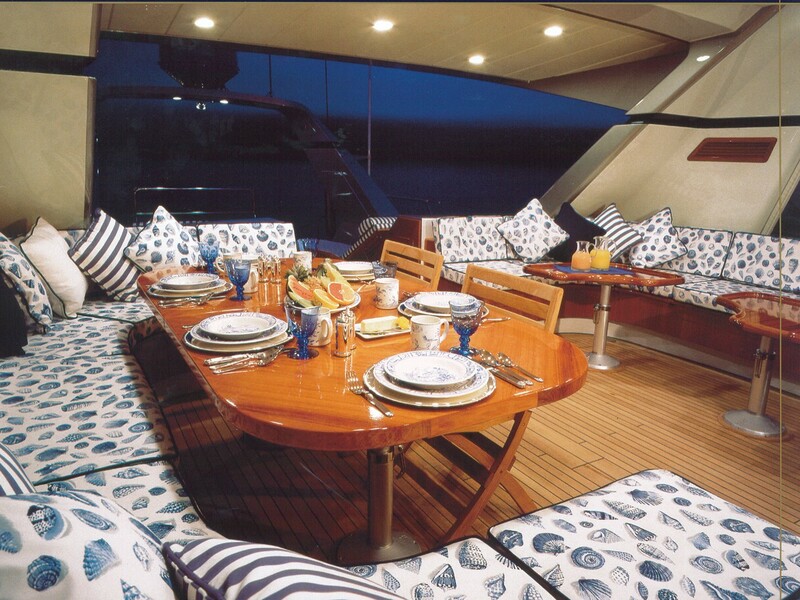 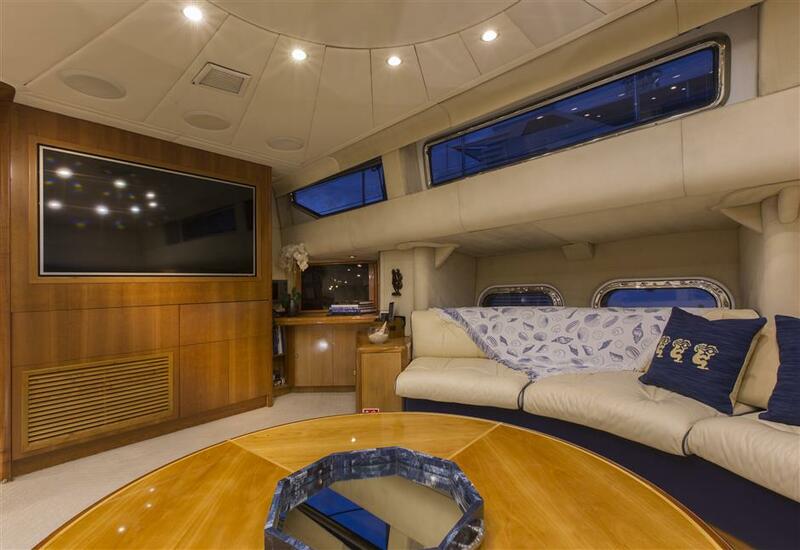 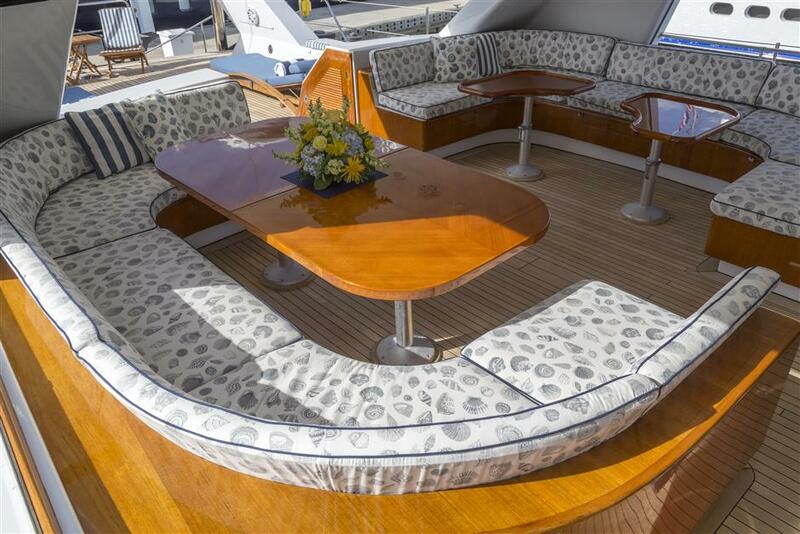 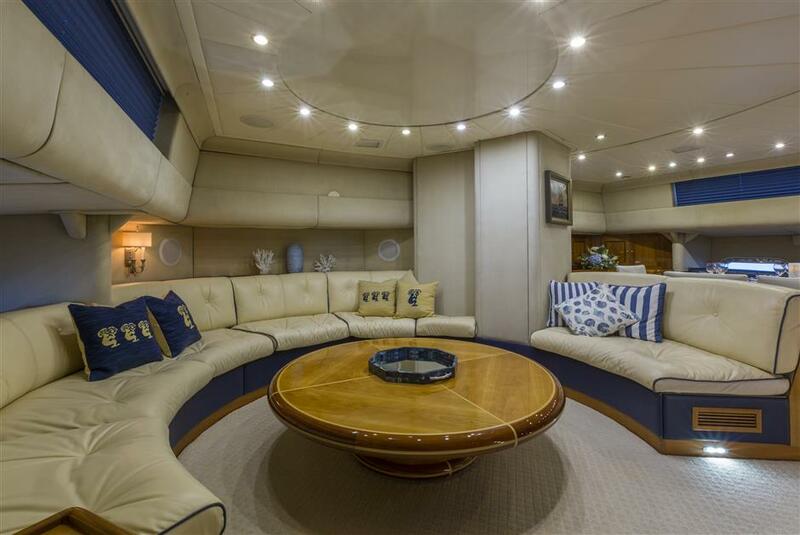 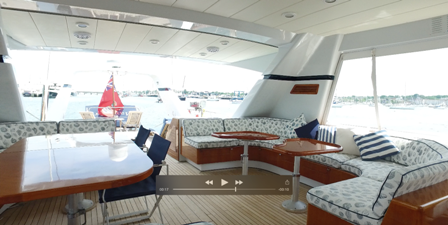 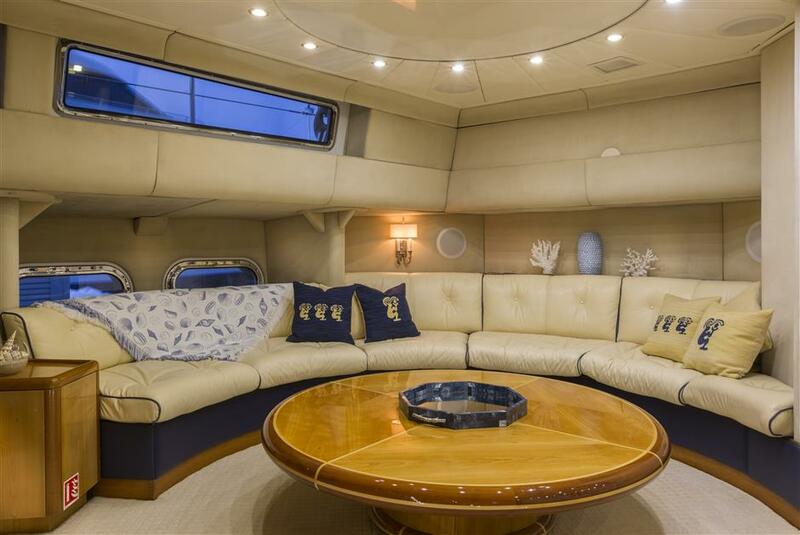 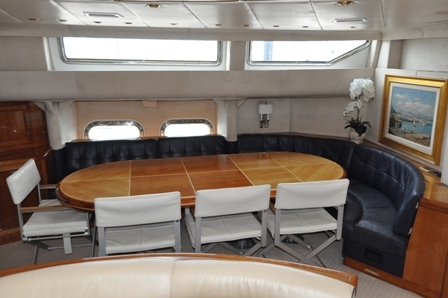 Lovely dining area located starboard includes a dining table for 10 and leather banquette. 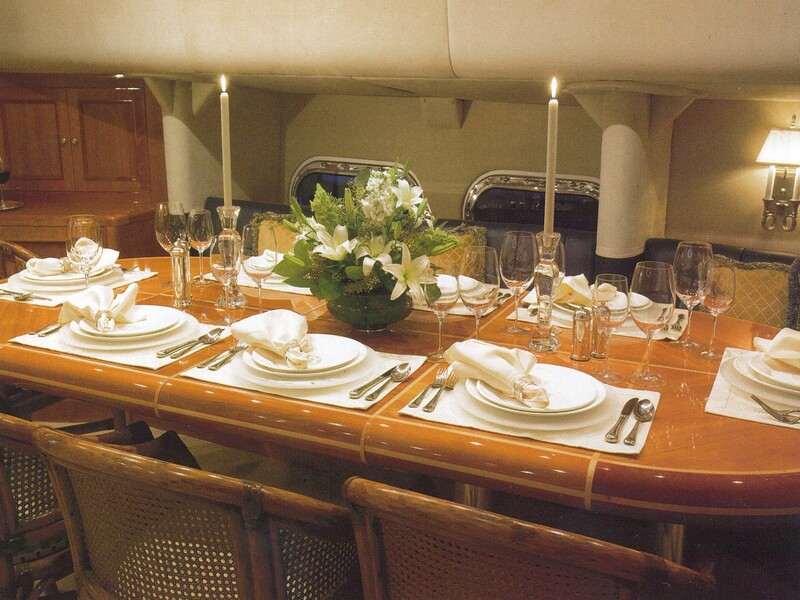 Forward of the main salon is the galley, fully equipped for preparation and serving of delicious meals. 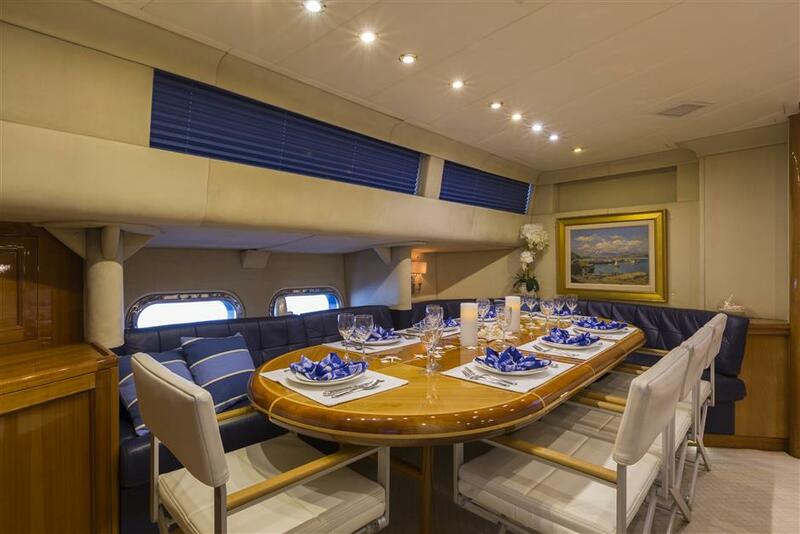 Exterior dining and entertainment areas include a dining table for ten guests and an ample seating area to enjoy the stunning panoramic views. 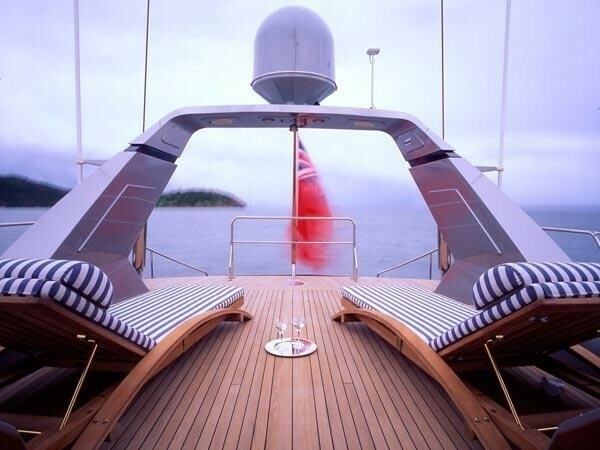 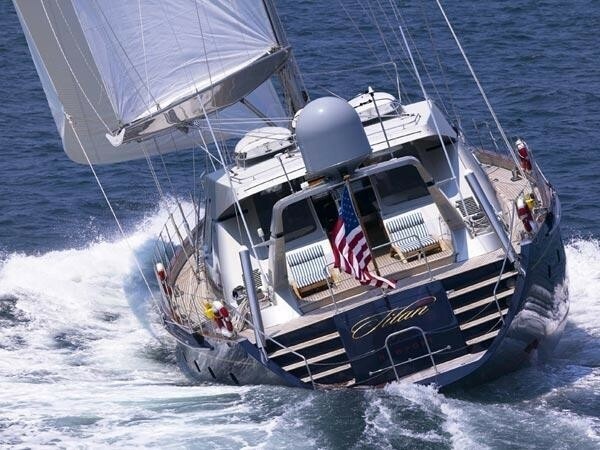 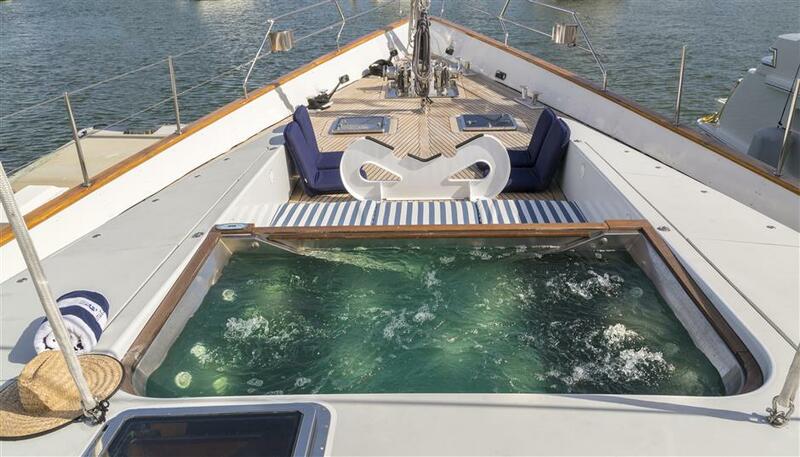 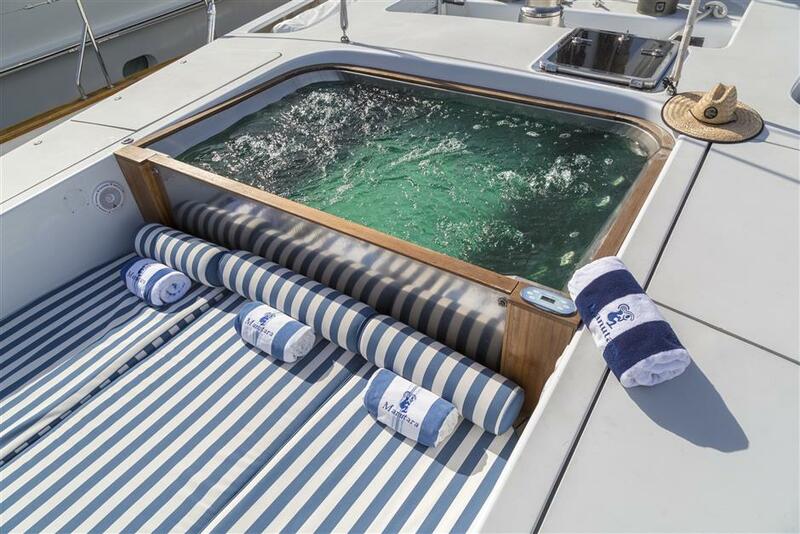 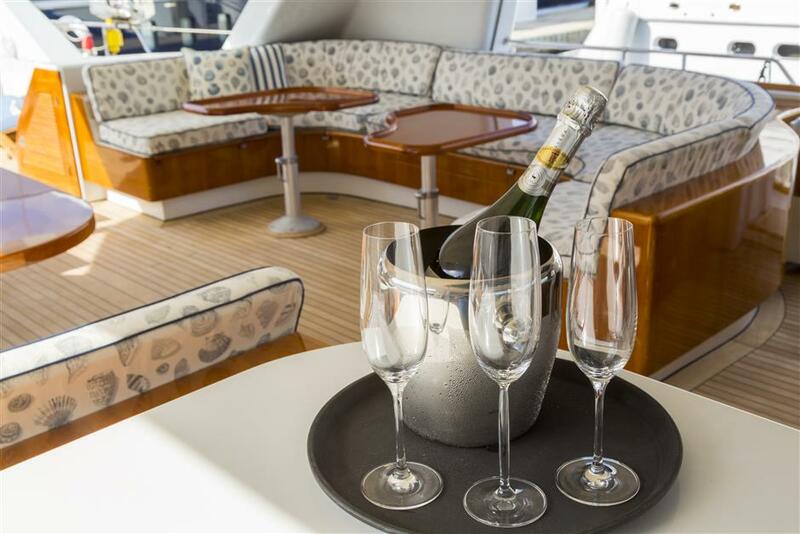 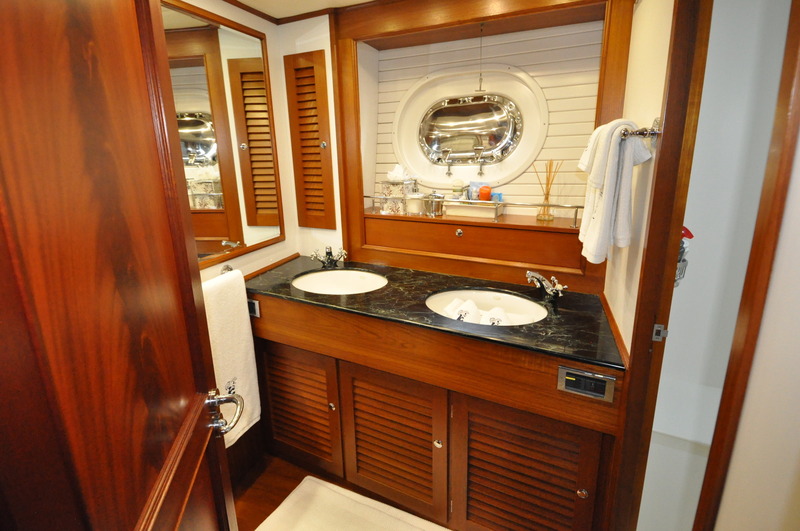 Guests will enjoy a hot tub located on the foredeck, while an experienced crew of 5 takes care of all errands. 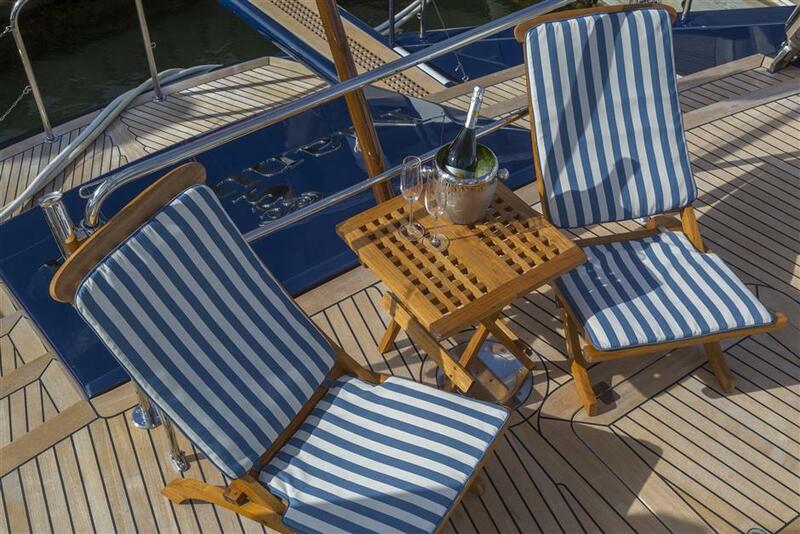 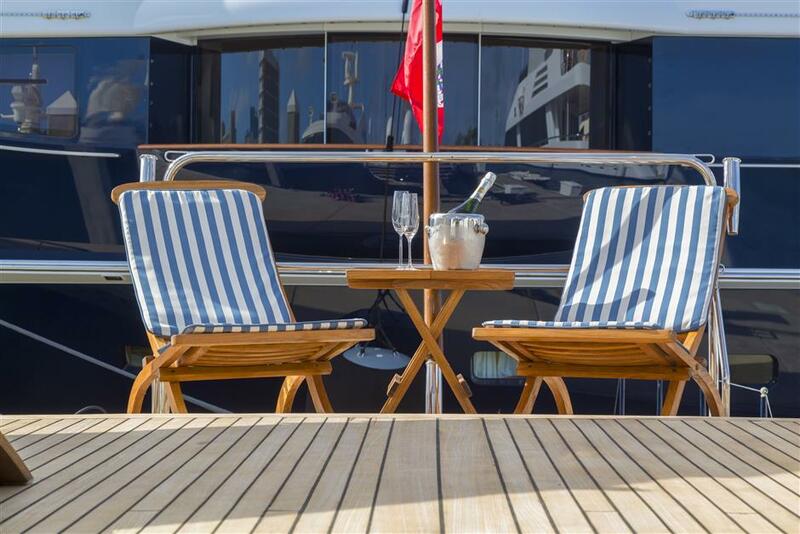 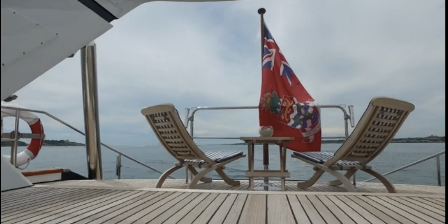 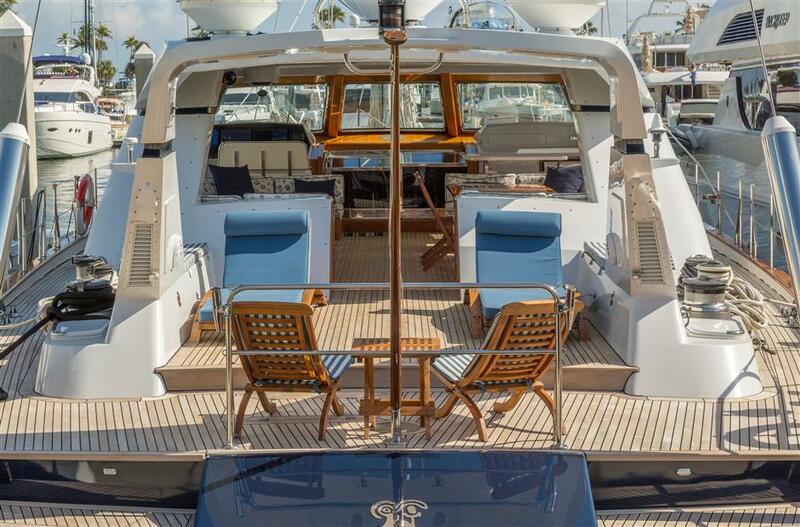 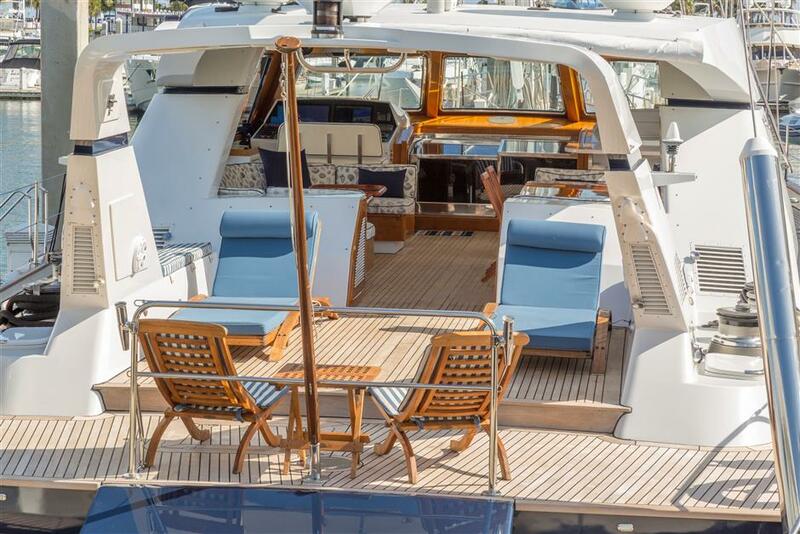 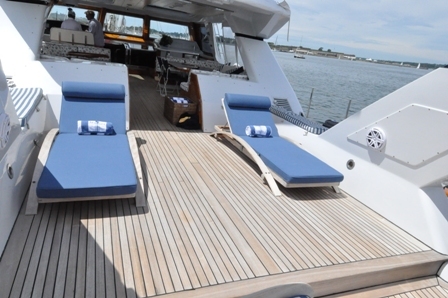 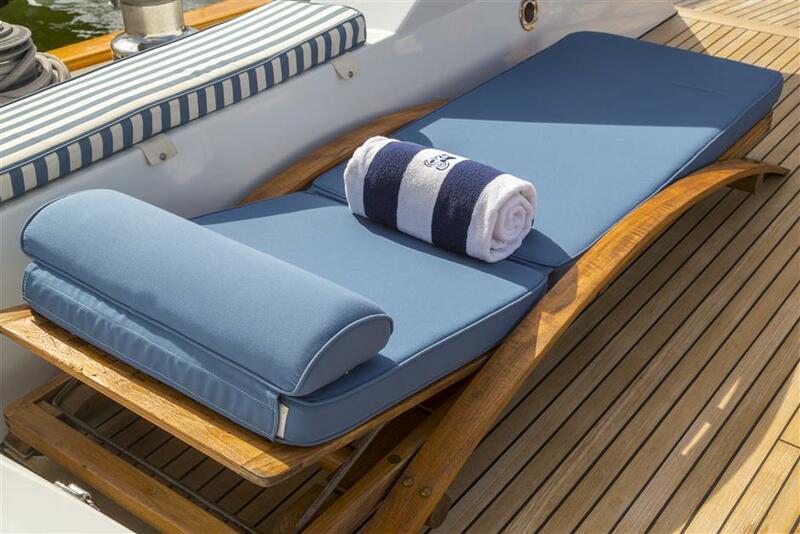 Sunbathing area is on the aft deck, with sun loungers and additional seating. 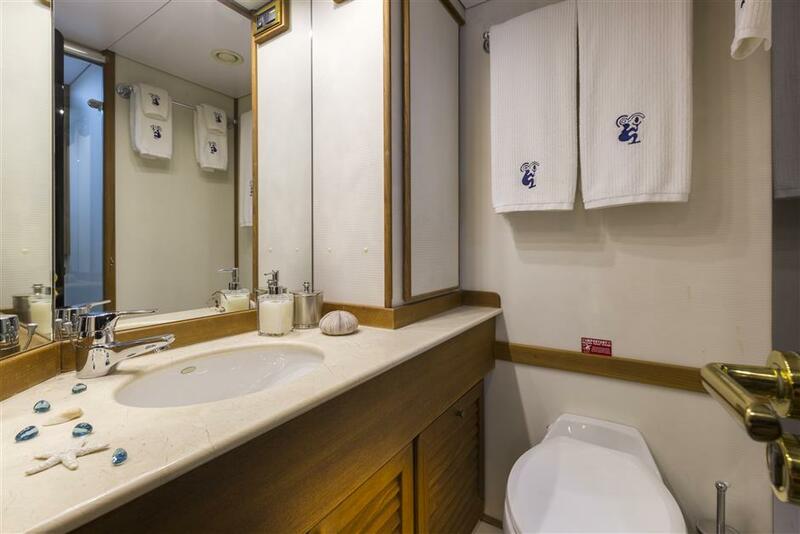 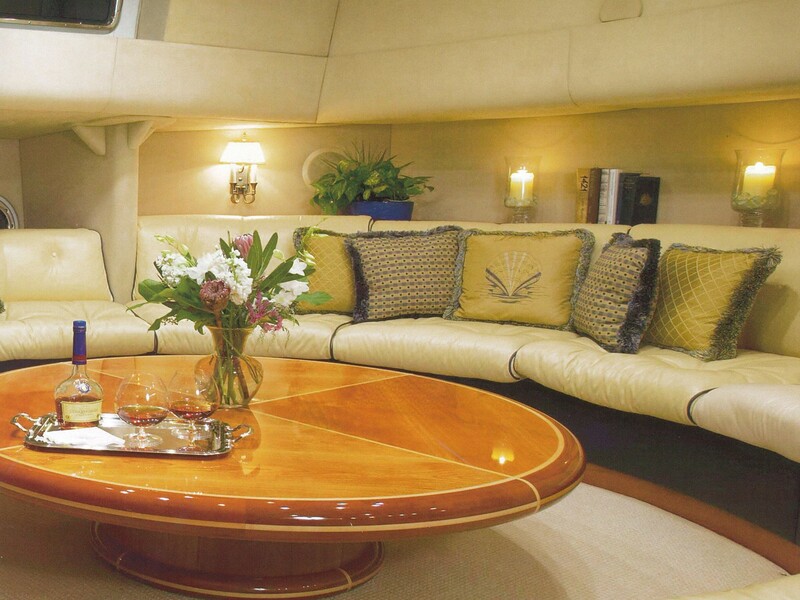 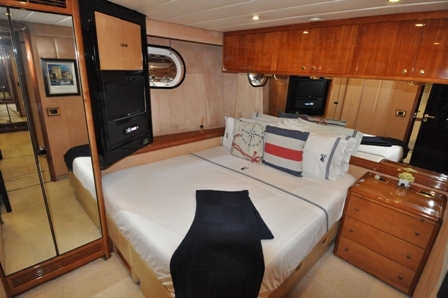 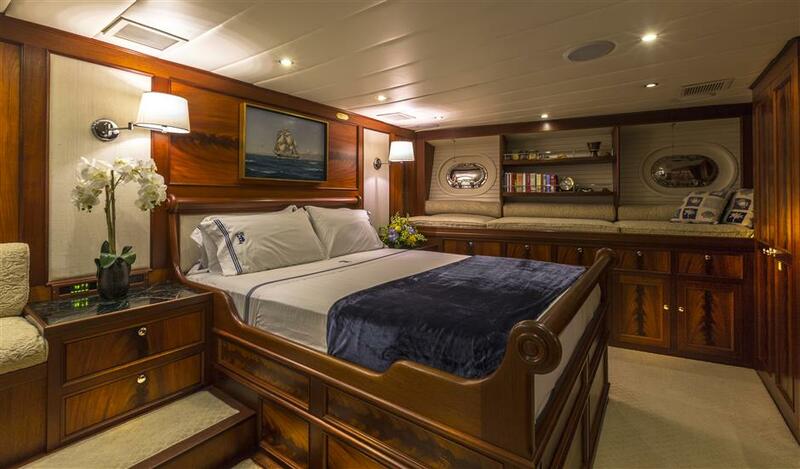 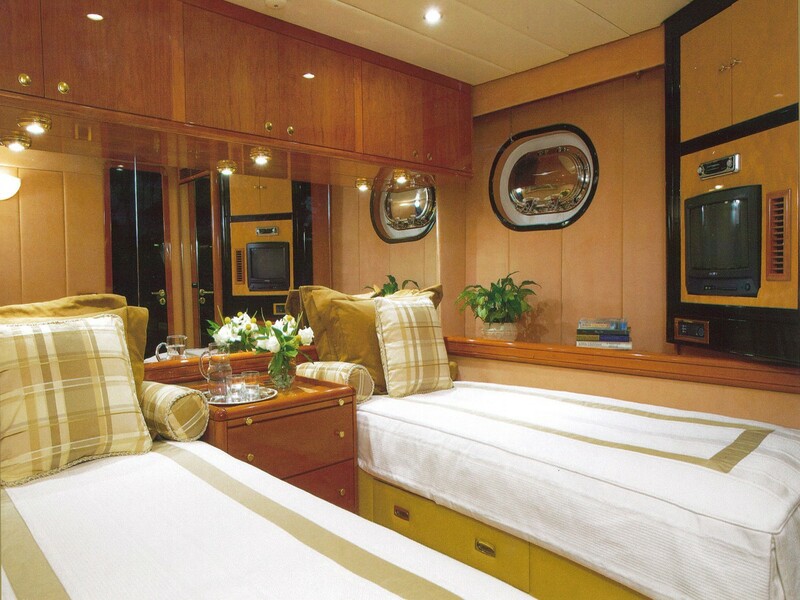 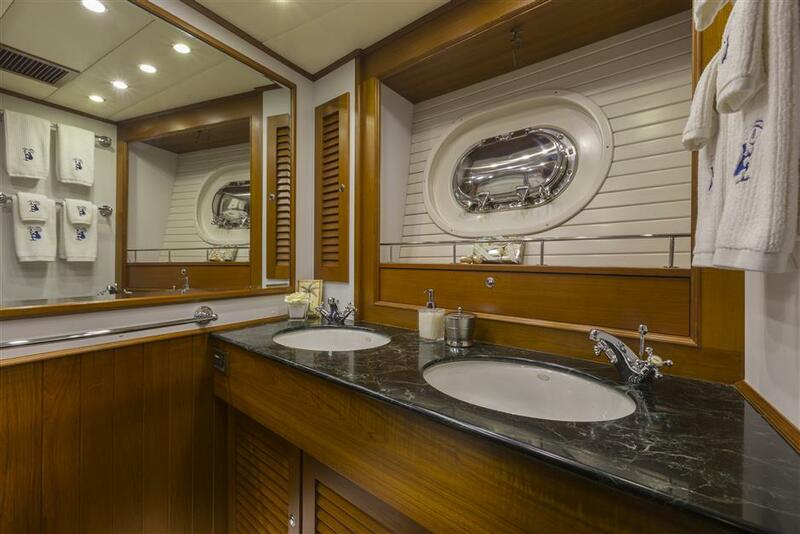 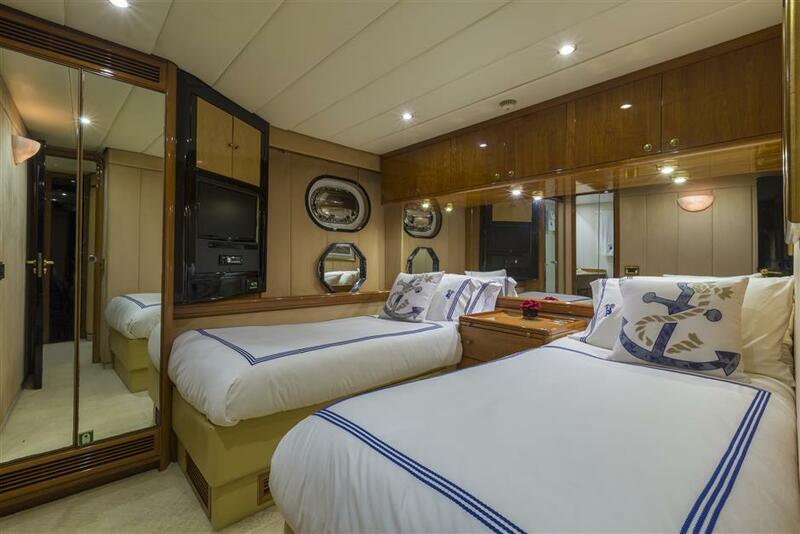 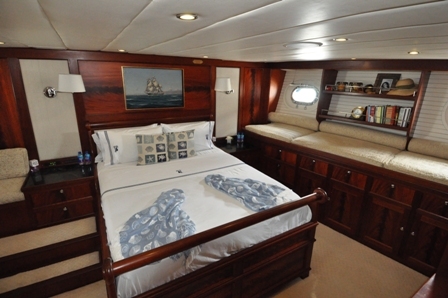 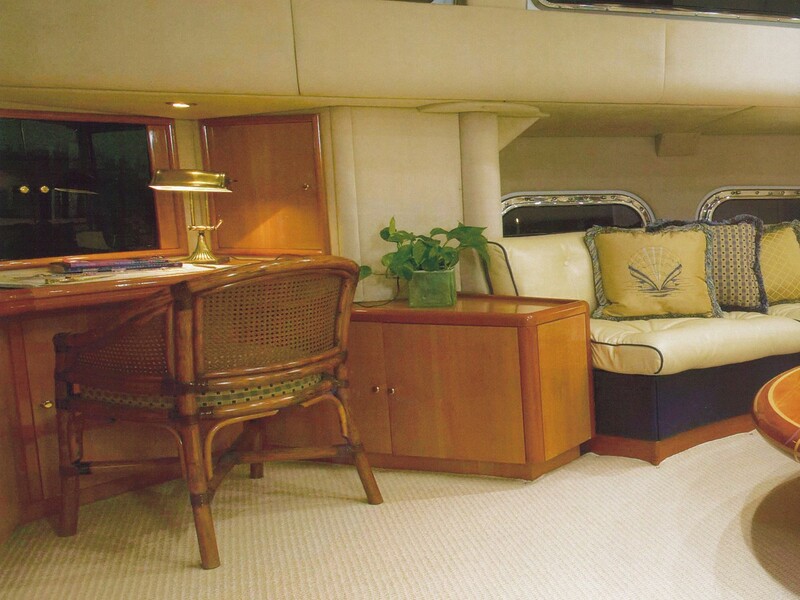 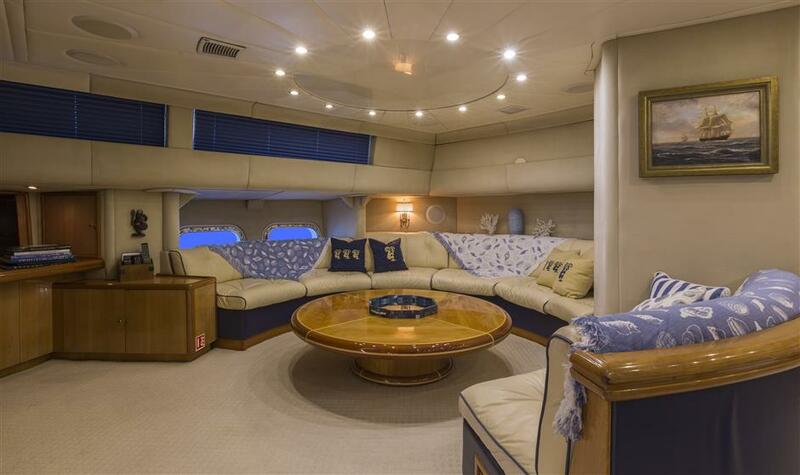 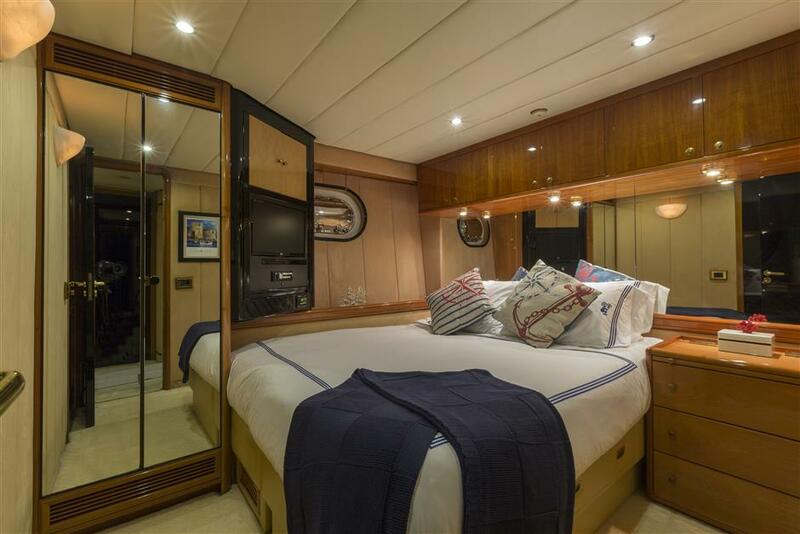 Private master suite is the full width of the yacht, allows ample room for a queen bed, settee berth, and desk/vanity. 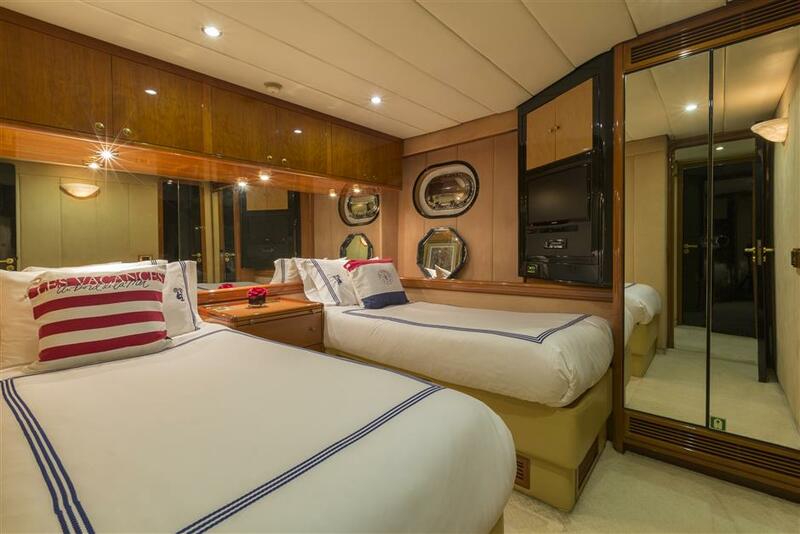 The guest staterooms offer the immense convenience of beds that may be easily converted from kings to twins, according to your preferences. 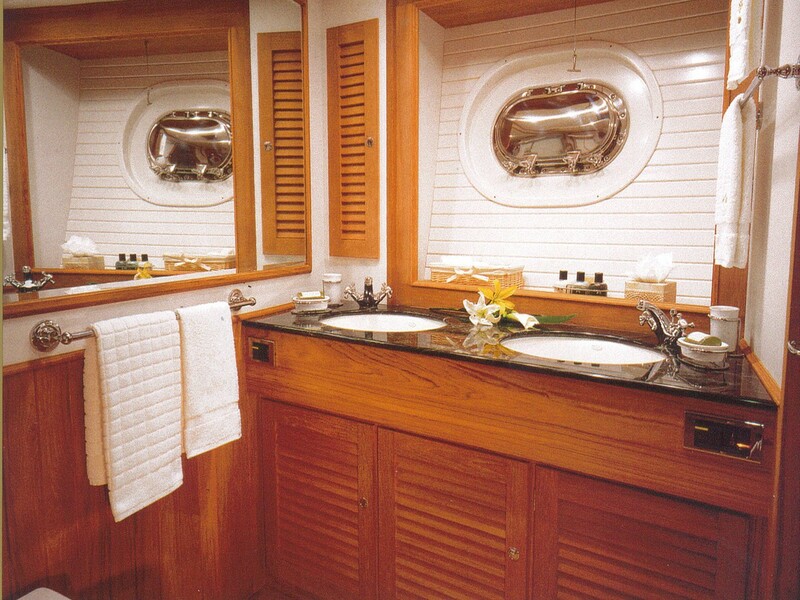 All cabins have newer Flat Screen TV's with sound systems. 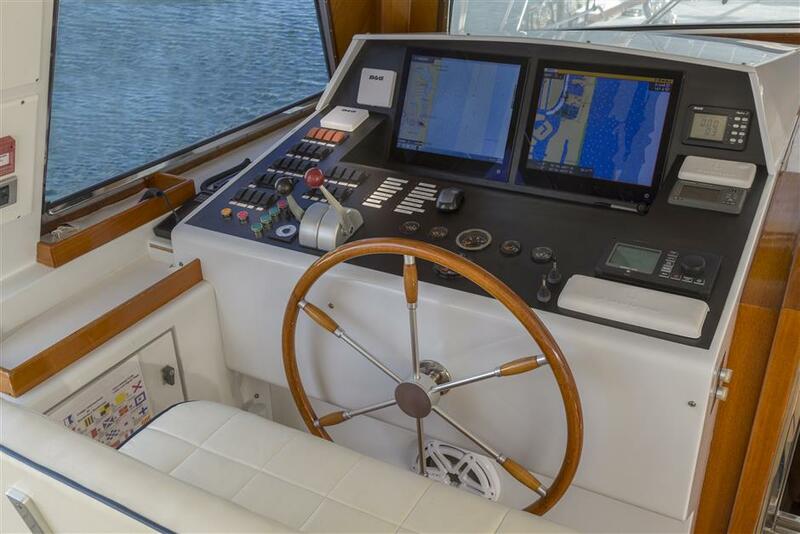 Tenders & Toys 17ft; Nautica tender w/ 115 hp outboard, 4 person Jacuzzi, Crew Tender, Inflatable Tube. 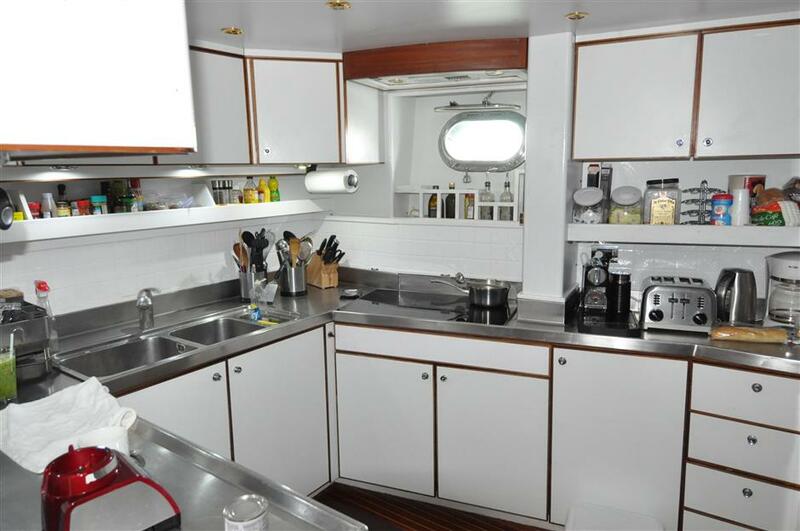 Fishing gear, Snorkeling gear, 2 x Clear Kayaks, 2 x Stand-Up Paddleboards, 2 x fold up Bicycles. 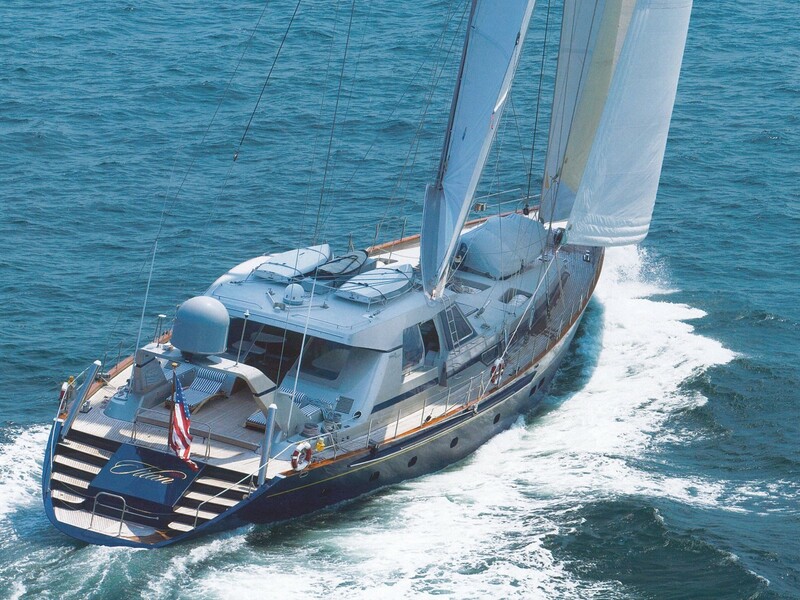 Additional Watertoys to follow... Communications Satellite phone, limited email access, cell phone, VHF Radios. 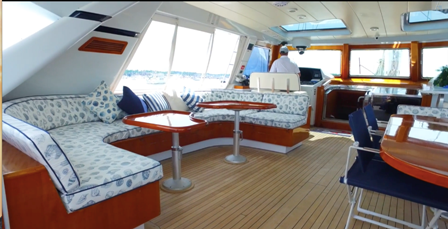 Audio Visual Equipment and Deck Facilities New entertainment center in main salon w/state-of-the-art Sound System. 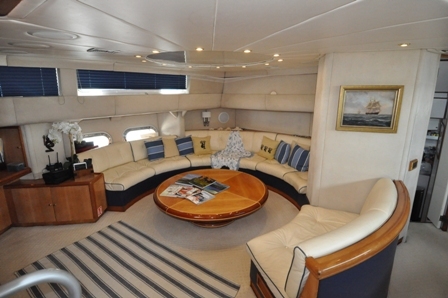 55' Flat Screen TV, DVD Player, CD Player, Portable Wireless Speakers, Direct Satellite TV (limited channels down-island). 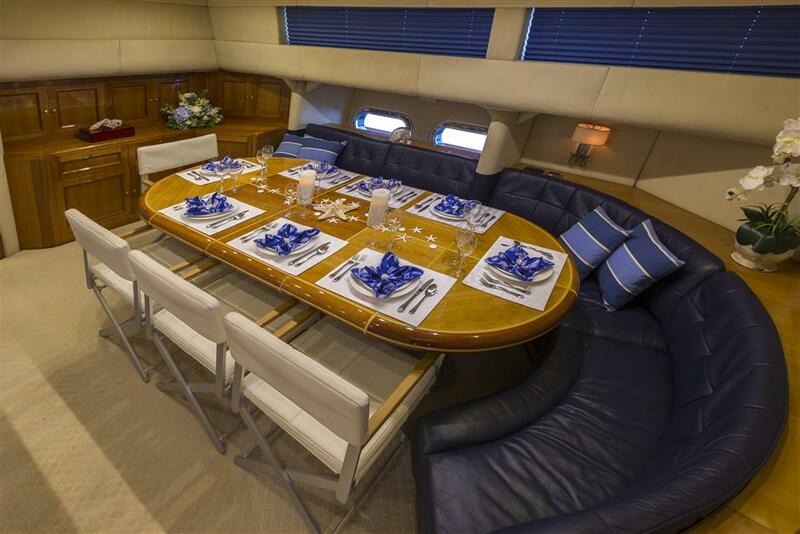 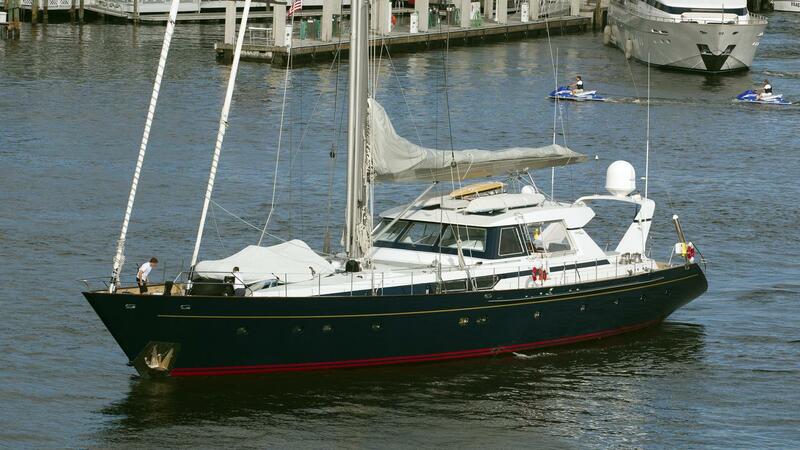 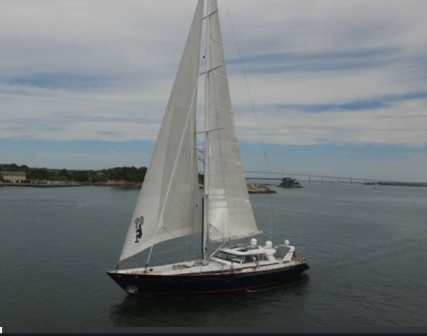 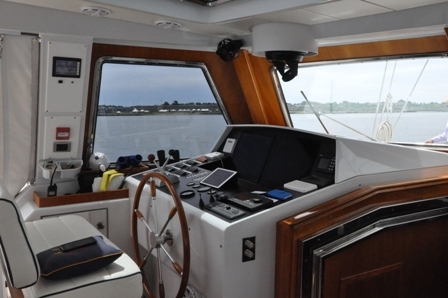 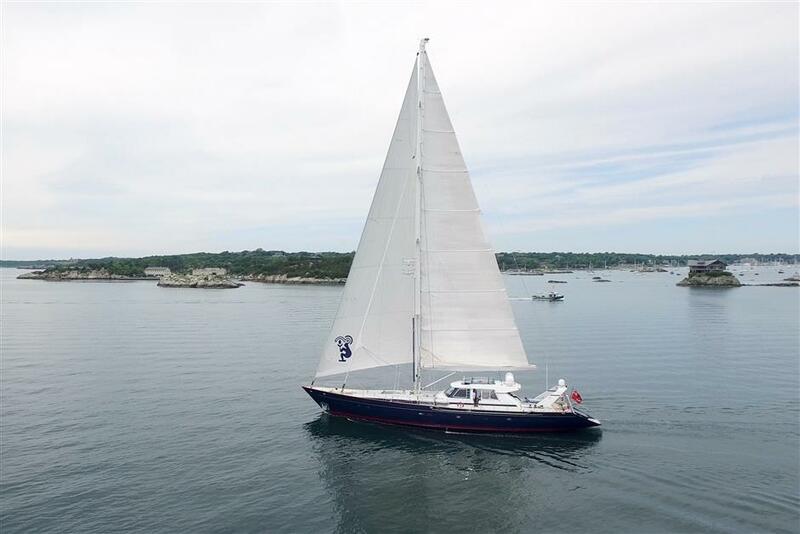 Large pilothouse which is an excellent location for dining and entertaining.